Ronaldsway controllers Situation Display with test Selex data displayed. 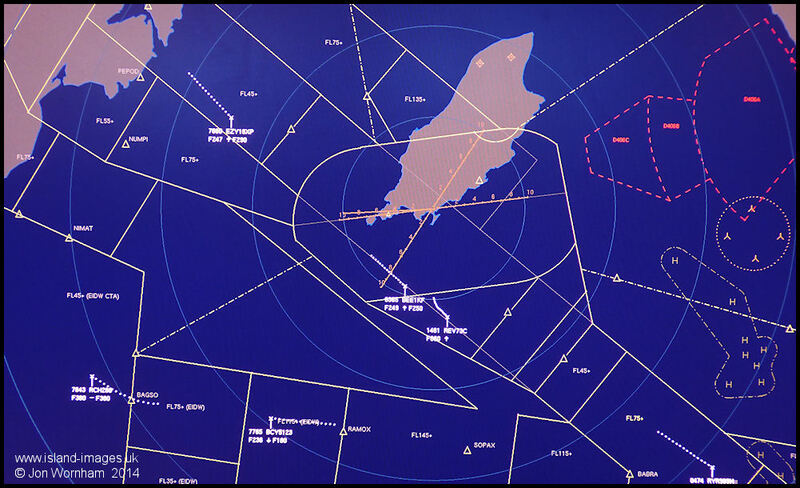 The circle on the right side of the picture indicates the Barrow wind farm, as wind turbines can seriously affect ATC radar systems. At the time there were no wind farms close enough to Ronaldsway to cause major problems, but since then the wind farm has expanded considerably and the nearest turbines are only around 25 miles away and are clearly visible above the sea horizon.